A group of volunteers have planted 400 trees for Earth Day! It doesn't sound like it was easy work, but well worth it - their riverbank is now protected and the risk of flooding is reduced. Great job and congratulations to the Maumee Community. This article was originally published on The Journal Gazette. Read the original article. Humans have cut down three trillion trees. Will you replace your share? When scientists calculated that there were 3 trillion trees on Earth, the higher-than-expected number prompted the UN to significantly up its ambitions in terms of a tree planting campaign from a billion to a trillion. Now Laura Kehoe, an Irish PhD student of wildlife conservation is hoping to achieve similar things in terms of citizen engagement. Specifically, Kehoe is hoping to leverage the fact that humans have also chopped down nearly 3 trillion since we learned to wield an axe to prompt each of us to take up our part of putting those trees back. "We have cut down nearly 3 trillion trees globally. That may sound like a lot, but on average it's only 400 trees per person. 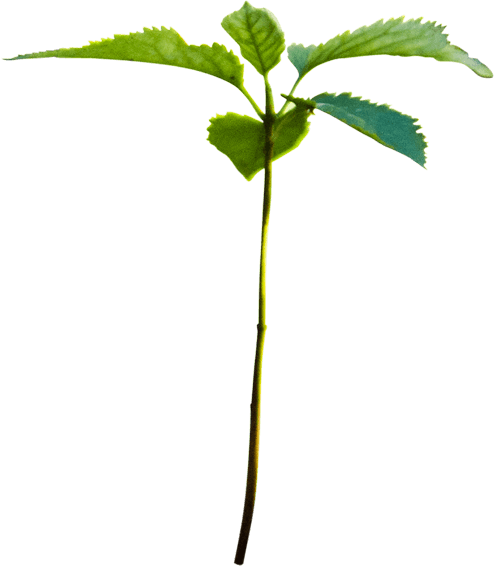 I wanted to figure out how I could plant my missing 400 trees and found a highly rated charity that does it for only 10c a tree. They manage this by working with local communities to plant forest gardens - creating agricultural landscapes that are sustainable long-term and regenerate degraded land. So, it turns out, for only $40 I could plant my missing trees." So Kehoe and some friends set up 400Trees.org in case others want to help replenish "their share" of deforested trees with a donation of just $40. It's an interesting idea. Often visualizing and personalizing a global problem can help us to feel empowered to make a difference. Sure—we can quibble about what the notion of "our fair share" really looks like. After all, a reasonably well-off citizen of a Westernized consumer society is probably responsible for more forest destruction than a poor person living in Nairobi. But I suspect such quibbles miss the point. After all, if we are splitting all the trees ever chopped down among those of us who are alive today, we are taking on a significant share of the destruction that was wrought before we were even born. Either way, I tend to think this is less about guilt tripping each of us into making amends, and more about empowering each of us to make a significant—and yet totally manageable—contribution to creating a better world. From my involvement in a campaign to replant mangrove forests to my wonder at an innovative 1,200 acre regenerative agroforestry project in Brazil, I am constantly amazed by what can happen when humans recognize and invest in the power of trees to make our world better. This is one more example of people stepping up and making a difference. This article was originally published on Treehugger. Read the original article. This Christmas, why not get your loved one a gift they don’t know they’re missing? Sounds confusing I know, but hear me out because it might be the most original gift you give this year. A new study has shown that we have cut down 46% of all the trees we once had on Earth. That’s nearly 3 trillion trees in total, but if we divide that by the number of people that are alive today we are each missing 400 trees. This is a bit more manageable, but it still sounds like a lot. Don’t despair, there is an easy way in which you can plant a loved one’s missing 400 trees with the added bonus of combating climate change and even relieving poverty. Gladys depends on her small farm to support her three children and two adopted orphans. The past few years have been tough for Gladys, the precious soil on her land is slowly eroding away due to heavy rains and the natural slope of her land. To make matters worse, Gladys grows a lot of coffee, but the market price in Kenya has dropped in recent years, leaving her with crops that cannot be sold for a fair price. She now depends mainly on her cow’s milk for income, but, like many farmers in the region, she uses the majority of her profits to buy expensive cattle feed. We are a non-profit that partners with Trees for the Future to provide farmers across Africa with the tools and training to regenerate their land and create sustainable livelihoods. Trees.org have showed Gladys how to transform her degraded land into a forest garden that will benefit her entire family - including her cow. 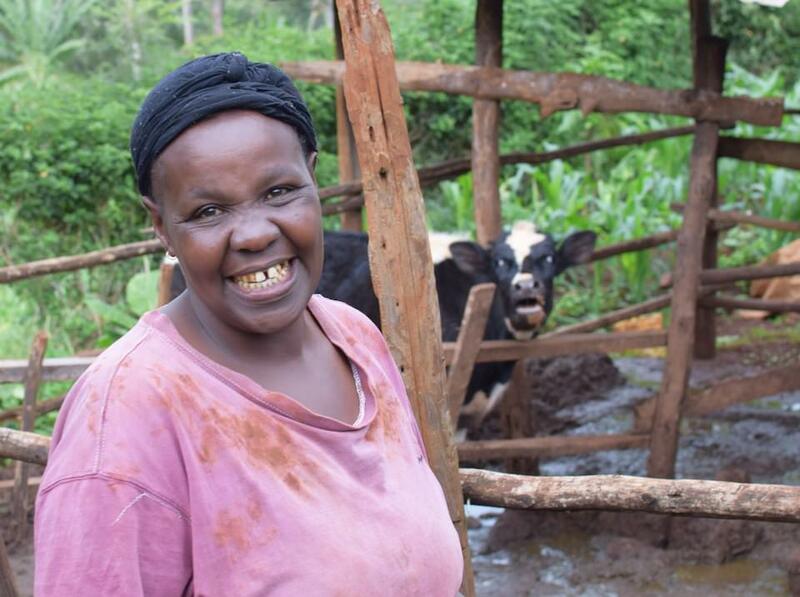 Gladys now grows her own highly nutritious fodder trees to feed her cow. Many trees have been planted on her land using contouring techniques which halt soil erosion and protect her from storms. At the same time, fast growing and nitrogen fixing trees are fertilising her soil and providing her with enough produce to sell at the market for competitive prices. Instead of relying on coffee, she now grows a diverse range of crops, including the much sought after and profitable macadamia nut. By the end of her first year, Gladys will have doubled her profits and paved the way for a secure future for her and her children. With Trees for the Future your missing 400 trees can reduce climate change and provide a brighter future to those who are struggling to feed their families. For only $40, that’s what you would pay for a Christmas tree, you could buy the gift of 400 trees. The donation comes with a personalized certificate which can be sent via email or mailed out. This Christmas give the gift that keeps on giving!